I love eye shadow palettes. And this is the mother of all eye shadow collections! 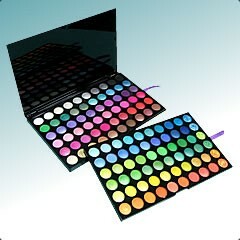 The BH Cosmetics 120 eye shadow palette 3rd edition carries every and any color you can think of. From light pinks and summer yellows to my favorites, browns, beige and dark greys. So I right away thought this eyeshadow had to be of poor quality, because you are getting SO many colors at such a low price. ($34.95) But the eyeshadow is actually of very high quality. You don't need to load it on, and the eyeshadow doesn't fade throughout the day. You can experiment with tons of new fun, exciting colors. I found myself trying colors on top of other colors, and the results were fabulous! I never realized I could love pinks and purples so much on my eyelids. Just a little goes a long way, and although these eye shadows are small, you only need a small amount to create a beautiful, professional eye. Right now if you buy 2, you can get 10% off your 3rd. BH Cosmetics offers a fun way for people like me to experiment with a professional eye shadow kit. You can also find this set in the 2nd and 1st edition. Long gone are the days of buying one eyeshadow, getting home and realizing not only do you HATE the color, but you spent $20 on it! This is a much better bargain, and with 120 colors, the possibilities are endless. 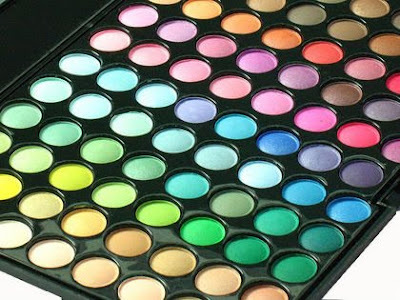 Buy all BH Cosmetics online at BHCosmetics.com You can also find them on Twitter & Facebook. I received product for the purpose of this review only. All opinions are my own. I did not receive any monetary compensation for this post.